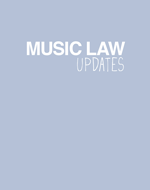 Extending the term: should the UK recording industry have new obligations as well as new rights if the copyright term for sound recordings is extended? COPYRIGHT Record labels, internet Two US men, apparently fans of Ryan Adams fans, are the first two US individuals to fall foul of a new law making it a crime to publish songs before their release to the general public when they made portions of the singer’s latest album available on a Web site. Robert Thomas of Milwaukee and Jared Bowser of Jacksonville were indicted under a provision of the Family Entertainment and Copyright Act (FECA) that makes it a separate federal crime to pirate music and movies before they are released to the public. The men are alleged to have posted portions of Adams’ “Jacksonville City Nights” on a fan Web site about a month before its official release last September. Adams records for Lost Highway Records, whose Universal Music Group parent did not grant authority for the Internet distribution. If convicted on all counts, the defendants each face a potential of 11 years in prison. The case was investigated by FBI agents and is being prosecuted by the Computer Hacking and Intellectual Property Section of the United States Attorney’s Office. COPYRIGHT Record labels, film and television Bootleg and pirate CDs, DVDS and computer games worth millions of pounds were seized in England in dawn raids across Merseyside and Lancashire on the 16 th March. At least five copying ‘factories’ were raided by Police and thousands of illegal copies, along with duplicating equipment, were seized. More than 90 CD/DVD burners were found in one two bedroom house alone. Pirate DVD copies included new films such as Syriana, Munich, The Pink Panther andTheProposition as well as illegal games for Xbox, Playstation and PSP. The Times 17 March 2005. COPYRIGHT & CONFIDENTIALITY Artists, Newspapers The Prince of Wales has won his High Court action for both the infringement of his copyright and a right to confidentiality in his private journals. The action, against the Mail on Sunday resulted from publication of excerpts from the journals sold to the Mail by a former secretary to the Prince. It is possible the former secretary, Sarah Goodall, may be prosecuted for stealing the journals. However seven more travel journals are still with the Mail and ownership will be decided in a future contested hearing. Mr Justice Blackburn held that with regard to the travel journals the Prince as claimant had established “a reasonable expectation of privacy in their contents”. Ms Goodall has also co-written a book about her time with the Prince, The Palace Diaries. This is due to be published in September 2006 and we can expect another High Court battle as Ms Goodall signed a confidentiality agreement when she joined the Royal Household in 1988. She was dismissed in 2000. The Times March 18 th 2006.